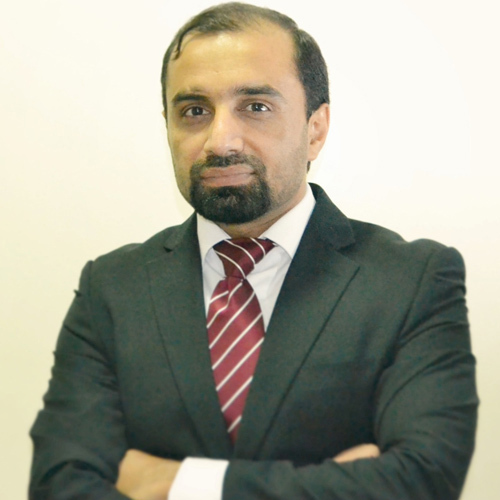 Mr. Asif Iqbal is the Head IP-Legal of KADASA Intellectual Property. He is a graduate of law, business administration, and also hold World Intellectual Property Organization (WIPO) administered LL.M in intellectual property laws from ITC/ILO center of University of Turin, Italy. His past experience includes engagement with leading IP Consulting firm as an IP Associate handling different Intellectual Property legal matters. He also served as Assistant Director in National IP Office of Pakistan for 05 years, where he was engaged in intellectual property and administrative roles. As a government officer, he remained a focal person for EU funded Trade Related Technical Assistance Programme (TRTA) for strengthening of IP regime. After joining Kadasa Intellectual Property in 2015, he regularly advises clients on multiple intellectual property areas including trademark, designs, copyright, and patent legal matters specially in infringement proceedings and intersection with pharmaceutical laws. He also represents Kadasa clients in domain name disputes before competent Arbitration fora. He attended several international conferences/workshops of WIPO as a participant and speaker. He is a member of International Trademark Association and authored several articles / commentaries on intellectual property issues.